It’s “pay to play” in New York’s Upper West Side, where brand-new ball fields are under “luxury lockdown,” according to The New York Observer. Decades ago, Donald Trump had agreed to extend the public Riverside Park in exchange for rights to build a vast luxury condo complex. DNAinfo.com reports that when Extell Development took over the project in 2005, it agreed to finish the park, which included furnishing it with ball fields. While the New York Parks Department insists that the ball fields will eventually be turned over to Riverside Park, for now they belong to Extell. And even though these gleaming green fields have now been completed, apparently Extell prefers to keep them locked up. Only residents of the condo complex are free to use them; non-residents must pay $20 per hour and be accompanied by someone from the complex. 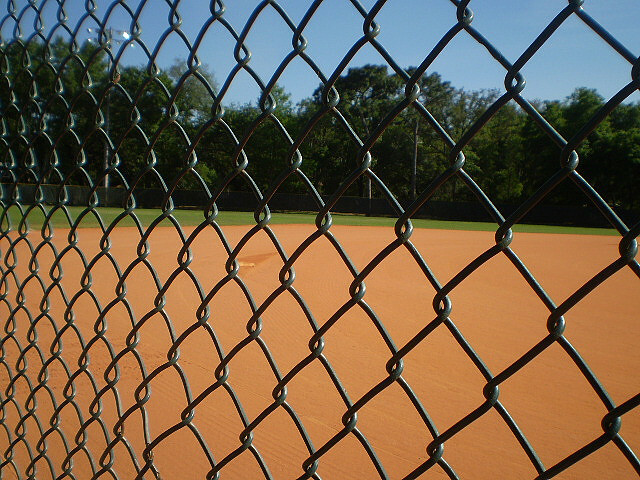 Meanwhile, kids in the surrounding community can only gaze at the new ball fields through an eight-foot-high fence, which is patrolled by a security guard. What a great way for residents of the condo complex to meet their new neighbors—through a chain-link fence. The decision by Extell divides old and new community members—literally—before they even have a chance to get to know one another. Ultimately, it’s the kids being denied a chance to run around and play who will suffer the most. If Mom and Dad lived in a luxury condo, you would be able to play here! Photo by EvelynGiggles (cc).